Google and Chrome are working together to enhance features for all learners. 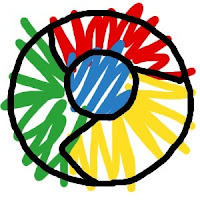 While using the Chrome web browser, and then going to Google to search the web, you will notice a microphone icon to the right of the search window. 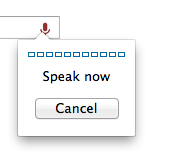 You can click the microphone and speak your search terms! I was amazed at how accurately it picked up my voice! If you get a message about recognizing the microphone on your machine, simply go to your System Preferences, choose Sound, Input, and make sure 'Internal Microphone' is selected. You could attach external microphones too, but make sure those are the ones selected in System Preferences should you decide to use those instead. One of the reasons I have a Google phone is it seamlessly and effortlessly syncs with my SPS Google account. It really is a mini version of my laptop. I started using the voice search there and have continued using it at home when I want to go hands-free---like when I'm knitting!